Have you been hit by a ransomware attack yet? If not, you’re lucky. Ransomware damage has jumped from $300 million in 2015 to an estimate $5 billion in 2017. This includes the amount of the ransoms paid, plus the costs of downtime and lost productivity. 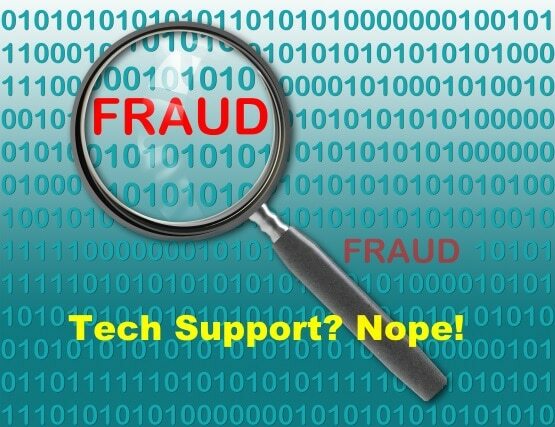 Have you gotten a PC Support Scam on your PC yet? If not, you will! What does this type of Malware attack look like? Just look at the image to the left. Pretty convincing, eh? 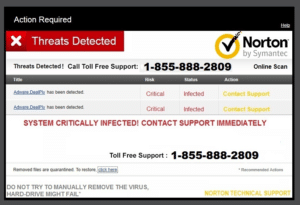 Yes, it says Norton, but it’s fake. Anybody can copy a logo. What else happens? Well, you’re sitting at your computer and suddenly it freezes. You see a big window pop up and say that your computer is under attack from a virus and you’re instructed to click to repair, or call a fake tech support number. Virus threats and malware are subject to so many myths and misconceptions, that it’s hard for anybody to know what to think. Here are a few of the most common myths about Viruses, Trojans and other Malware, along with some tips from a computer repair shop. Many people ask us how they can get a virus when they have Norton, Kaspersky, McAfee or some other Antivirus or Internet Security program installed on their computer. Virus Infections After a Support Call? Over the past few months, our Computer Repair shop in Tucson has had had dozens of customers come to us with virus infections after having called an alleged technical support site for companies like HP, Microsoft, Dell and even Intuit (Quicken and Quick Books). FBI virus removal jobs keep coming to our shop. Will this annoying thing ever go away? I hate to say it, but the only reason it’s still around is because people are falling for this scam! Of course, the customers we see, are the ones that don’t fall for it and come to us to remove it. I should mention that along with the main scam, it installs all kinds of other spyware as well. This is actually typical of most viruses. They bring their friends along! That’s why when we do a virus removal, we don’t stop when the offending virus is removed. We do further analysis and cleanups as well. We use no less than four different scanning and removal tools, as well as some manual work. A new Malware Virus is hitting peoples and businesses’ Facebook Pages! If your page is suddenly crowded with ads, even in your timeline, you got the “Iminent” malware infection. You will notice their logo on the ads, like in the attached photo. It will install to every browser on your PC! Your antivirus software won’t remove it, because it’s not technically a virus. It’s more like those toolbars that sneak in when you’re downloading something else. It won’t hurt your PC, but it will annoy you and make your Facebook page almost unreadable.How do I know? It happened to me! It also puts in buttons on the ads do download other things, and I don’t know if those might hurt. The one that made me most suspicious was one telling me I had to download a “special player” to see a video. That’s a dead giveaway to more potential viruses. Computer Viruses, Malware, Trojans, Spyware, Adware, Rootkits, Bootkits…. a wild menagerie of threats to be sure. I’ll use the generic term “Malware” to refer to all these types from now on. You may not have even heard of some of these forms of infections. What the heck can you do? How worried do you need to be? The truth is, we’re all subject to these risks, but the better informed you are, the safer you’ll be. This will be a series of posts where I’ll try to give you a simple rundown of the most common myths that get people into trouble. How many parts will there be in this series? That depends on how much time I have to write, or how sleepy I am if I’m writing at night. I’m guessing two or three. Guess again my friend. How would you know, when most malware and Trojans are designed to be stealthy and work behind the scenes without your knowledge? That’s the whole point! Yes, some types of malware do get your attention, especially the ones trying to sell you fake software, but this is only one type of infection. Others may be lurking behind the scenes trying to steal your passwords, credit card numbers, etc. Eventually, if there are enough of them on your computer, you’ll notice performance slowdowns, lockups, error messages or even crashes. This may be the only warning you’ll get that something is wrong, but by then it may be too late. You won’t believe how many computers come in to our shop for other types of repairs, where we find viruses and malware galore. As part of our troubleshooting, we always run a quick scan and sure enough, most of them have some type of infection. They’re not always serious, but it goes to show how common this problem is. Of course, these are by far the riskiest sites out there, so you should avoid or at least minimize your visits to such sites (nudge-nudge). Did you know that an estimated 83% of trusted, legitimate sites are hacked and infected with malware? Now that’s scary! The bigger sites monitor their sites, but hey can’t always keep up. Most of the time they’re clean, but you can’t know if they’re clean when you visit them. Why do they target these sites? Because that’s where the money is! They are popular, high-traffic sites, so they’re the best way to distribute the infections. Most of the time they just hack the site. If they can’t get in that way, they use other tricks. One for example, is to pose as an advertiser wanting to post an ad on a legitimate site. Once they’ve submitted and paid for their ad, they’ve built up trust with the site. Then later, they post an update to their ad, embedding malicious code in it and voila… they’ve infected the site. Yes folks, they’re back. Just in time for the holidays! Virus and spyware/malware activity has been very low over the past three months, but it’s picked back up again. This new crop of virus and spyware infections looks a lot like their predecessors. They disguise themselves as a security program or pc utility program, just like the other scareware programs we’ve seen. Again, these are fake programs where the culprits try to get you to buy their “program”. Don’t fall for the trick. 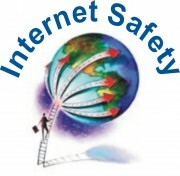 However, once these infections get in, they disable many of your computer’s functions, including internet access. What makes these new infections so nasty is that they often plant files in your hard drive’s boot sector or partition. This is a part of the hard drive you can’t see, but it controls the most basic startup processes. In some cases, when you clean these out, it renders the whole boot sector useless and you can no longer boot into Windows. Your data is not affected, but if this happens, you need to wipe the drive clean and reinstall Windows. We had one such case this week. Of course, we were able to save the data before wiping the drive, so the customer was okay in the end. If you get one of these spyware or virus infections, we can help. Visit our Saguaro PC Tech Website and Blog to learn more about the subject. We just got a machine in with a VERY NASTY new virus. We’ve never seen anything like it before. It throws up fake program called “Windows 7 Recovery”, and displays a warning telling you that a system recovery operation has failed. It hides all your desktop icons making you think you just lost all your programs and data. If that’s not enough, it then tells you that either your hard drive, your memory, or both have experienced a critical failure. Geez…. talk about overkill! Of course, then they tell you that you can buy their “magic” software that will fix all of that. Wow, must be some program! Of course, this is all fake and you must not fall for this scam! Good News! It’s just another virus and we have just succeeded in removing it using our usual virus repair methods. So don’t worry if you get this. Your PC is okay and your data is in tact. If you get this nasty virus, we can help you and get you back up and running pretty quickly. For more information, please visit our Saguaro PC Tech website. We’re always here to help. How’s this for a new one? After years of distributing spyware infections posing as Antivirus or Security programs trying to grab your money, the “scamware” writers are now trying a new tactic. This infection is called “Windows Repair“. Not a very creative name, but I guess they’re trying to make you think it’s a part of Windows. The structure of this programs is the same as all the other spyware programs out there and we used the same virus/spyware repair methods as we always have. So don’t fret if you get this. You hard drive is not dying and your data is just fine. If you do wind up getting this, or any other infection, give us a call and we’ll get your pc running again in a jiffy. To learn more about us, please visit our sites below. Thanks. The Saguaro PC Tech Tucson Computer Repair website. Or visit the Saguaro PC Tech Facebook Page for more tips and articles, bot ours and from other sites around the web. Last updated by Steve Frantzis at October 3, 2017 . Double Your PC or Laptop Speed! Boot Up in as Fast as 15 Seconds! Upgrade to an SSD Drive Today! Are You Suffering from Spyware, Malware & Virus Infections? We can help with a full virus removal. We'll also do a full PC Cleanup, PC Tuneup and System Update.